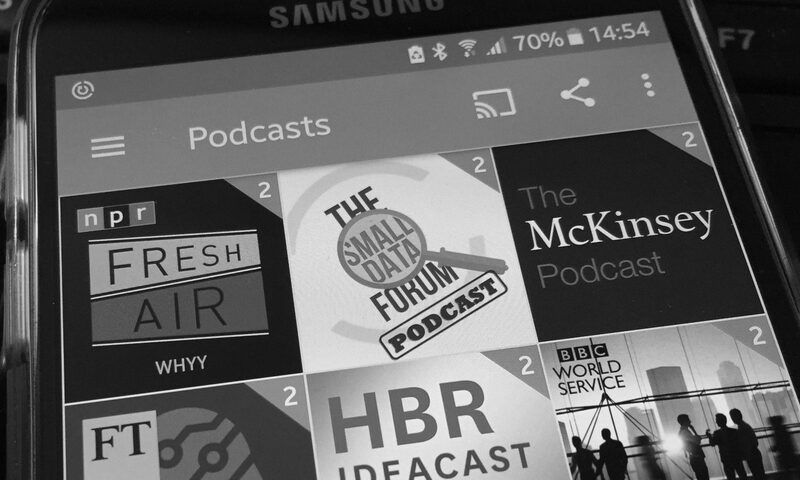 Welcome to www.smalldataforum.com, the new home of the Small Data Forum podcast. What started off as a breakfast seminar in May 2016 about the business value of Big Data quickly became a regular monthly podcast. 16 months on, our purpose remains unchanged: Neville, Sam, and I strive to make sense of Big Data for business and communications. In this time, we have produced 11 episodes, all in the same format of a sober German aiming – and occasionally failing – to reign in two unruly effervescent Brits. And not just in discussions of Brexit. And I’m sure the outcome of the German elections will form a topic for our next gathering. As I’m writing this, Frau Dr. Merkel wins a fourth term in office, in all likelihood in a ‘Jamaica’ coalition with the Greens and the Liberals. And a far-right party is winning perhaps more than 13%. How good were the polls? What role did fake news play? Was it a Big Data election? Answers in the next podcast! So yes, the format will continue, and in future we will also have regular guests to widen our, and perhaps our audience’s, horizon.